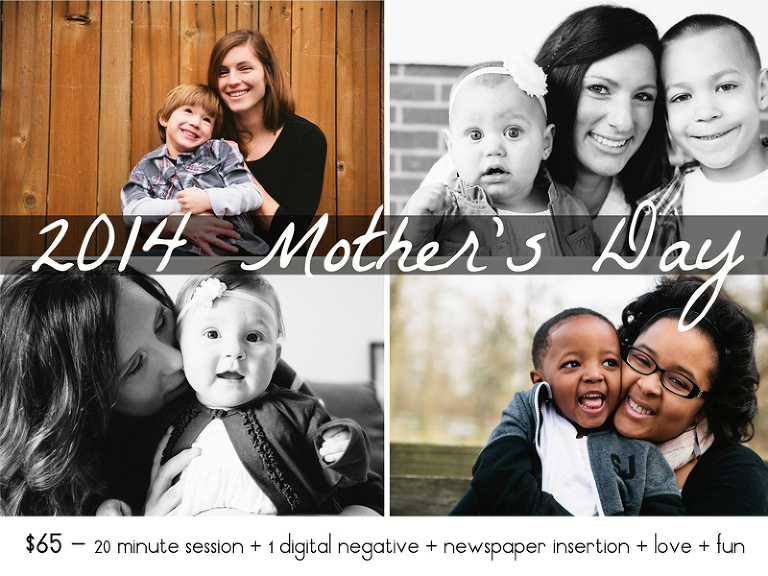 I’m excited for the 2014 season of Mother’s Day photos! Last year was very fun and this year I’m doing things a little differently. Each session will include a digital negative of your choice (yay!) along with your feature in the Lancaster Sunday Newspaper. All sessions will be available on the weekends of Feb 1 +2, Feb 22 + 23 and (if needed) March 1+2 at a local park (weather, be kind!) To reserve your session, email kylenelynn@gmail.com with your preferred date and time and I’ll provide all of the needed details. Please share with friends! Thank you!